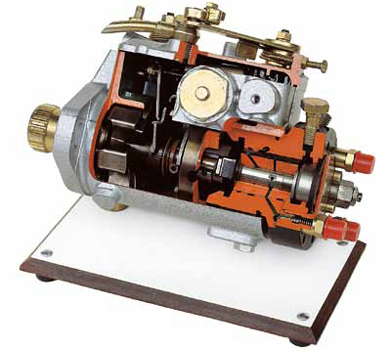 This is an evolution of the CAV DPA pump. It has been cross sectioned according to the same criteria to show its main parts. It is provided with an indirect injector.